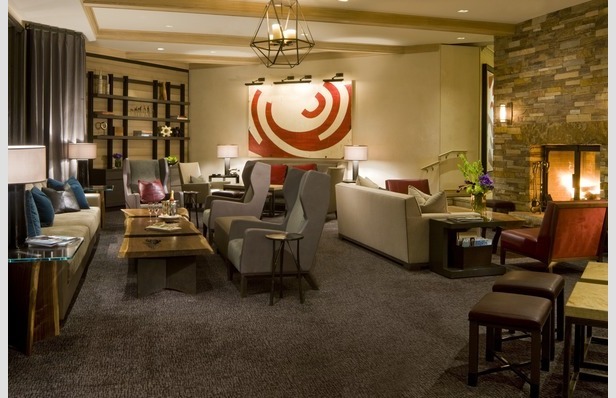 Slopeside Suite: The Little Nell, Aspen, Colo. The "Living Room" Lobby at the Little Nell. Don’t blink twice. The Little Nell, located at the base of Aspen Mountain, sinks into the natural topography and unlike Aspen’s over-the-top reputation, it’s easy to miss. Built in 1989 and renovated over the past three years, The Nell's 94 guest rooms are the créme de la créme for skiers and riders looking to have the ultimate Aspen experience. However, don't expect anyone to be bragging about it—celebrities and CEO's might be sitting next to you at dinner, but the vibe is understated eloquence. Like the Nell's quiet exterior, pulling up to the hotel sets the tone for your trip. A brightly lit and heated entrance meets guests, as attentive bellmen quickly grab your bags and skis before walking you inside to the front desk. The lobby, or “living room” as long-time guests refer to it, is filled with original artwork that creates a relaxed, inviting atmosphere. A large fireplace warms the room and the small check-in desk reinforces the premium placed on personal service—and not overwhelming grandeur. On the way up to your room, make sure to stop by the concierge desk and introduce yourself. If the Nell is known for one thing it’s world-class service and the concierge is no exception. Need a pizza at 2 a.m.? They will find one for you. The Nell is famous for it's large suite atop AJAX Restaurant, but if you're not up for paying top dollar, then opt for one of the hotel's regular rooms, which feature a spectacular bath, fireplace and 600 square feet of space. The first thing you'll notice in each room is the warm inviting tones. Original artwork hangs on the wall and the lighting has to be the best we've ever seen in a hotel room. Rooms include a large desk for those who need to work and a sitting area for relaxing after a long day on the slopes. A large closet also provides ample space for ski gear and evening clothes and features a large sliding barn door for easy access (You will want these in your own house after using it for a day). The bath includes a deep tub, a separate stone shower and enough mirrors to make sure you'll never miss an out-of-place hair. While you're out at dinner and exploring the town, the hotel's staff provides a turndown service with small gourmet sweets and fresh bedside water. Just remember, the service is paramount. If you need something—and it can be just about anything—the Nell's concierge will have your back. The Nell will have your skis ready for you at the base of Aspen Mountain and from there, it's less than 100 steps to the gondola. If you want to get a tour of the mountain, you can ask one of the Nell's concierges to show you around and they will happily grab their skis and take you to where the snow is best. Other programs include the First Tracks program and Snowcat Powder Tours. We know what you're thinking: This place sounds expensive. 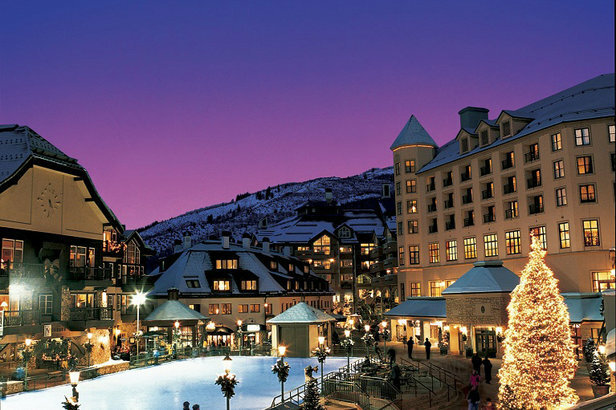 Don’t get us wrong, it is during the peak season, but it is also one of, if not the best, ski town property we've stayed in. The location, service, vibe and food are all top shelf and the Nell doesn't tell you it, but shows you through the duration of your stay. A few tips include scoring a room facing the mountain or inner courtyard—road facing rooms can be a bit loud—and grabbing a cocktail for happy hour at least once during your stay. The bar uses local micro spirits and combines them with seasonal flavors from around Colorado. Most importantly, plan on spending some time in your room. It might be hard to believe, but the Nell is so comfortable that downtown Aspen might just seem too far away, even though it's less than a block.